A great gift for your dancer and musician friends! Order extra copies for just $14 each, with no added shipping charge! If you go to our regular dance series, you should be able to buy a CD at the front desk, or from one of the musicians appearing on the CD — ask around and support your local musicians. You'll save on shipping charges, too! 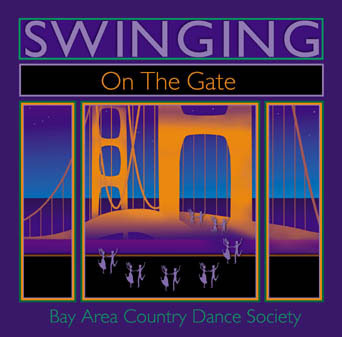 Return to the "Swinging On The Gate" homepage. This page maintained by Craig Johnson, please email him with any questions, comments or concerns. Last updated July 31, 2007.